Looking at spy shots is cool and all but, actually watching the car in action is always better. 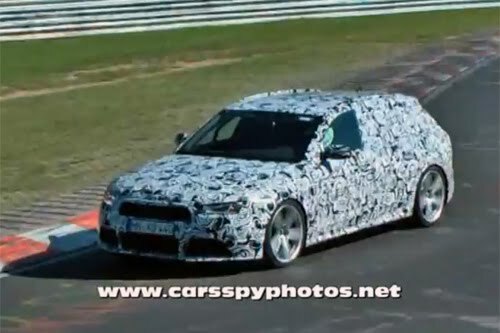 Case in point, the folks at CarSpyPhotos.net have just posted this video of the new B8-bodied Audi RS4 Avant performing test laps at the Nürburgring. Happily, it's becoming clear that the RS4 Avant is getting closer to reality as this test mule sports Audi's new headlight design (unlike the earlier spy photos we've posted). Anyway, enough talk - it's time for the video.